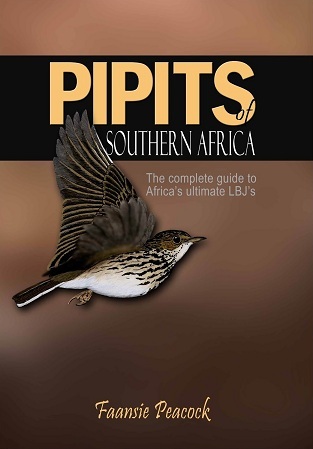 Ask any birder and they will confirm that pipits are arguably the most challenging birds in Africa from an identification perspective. In addition, pipit taxonomy is by no means conclusive-two new species have been described in the last decade! Despite this challenging state of affairs, identification of this group is possible. In Pipits of Southern Africa, emphasis is shifted towards identification methods based largely on posture, feeding strategy, display flights, vocalizations and other non-plumage features. The book stems directly from the author's field notes (instead of from museum collections and ornithological papers alone) and it is immediately apparent that this is a book written by a birder for birders. However, despite the great care that has been taken to ensure that the book is readable and relevant, scientific technicalities are also covered in detail-Pipits of southern Africa should appeal to beginners, advanced birders and ornithologists alike. A vast amount of ink drawings are used to emphasize important points or illustrate complicated concepts, and a multitude of graphs, keys and diagrams to facilitate easy and correct identification are included. All southern African pipit species (including the recently described Kimberley and Long-tailed Pipits), are covered in detail.